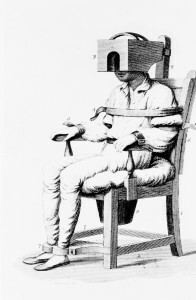 In the second part of Social History’s interview with Andrew Scull, the author of Madness in Civilization: A Cultural History of Madness (London, Thames & Hudson) discusses the treatment and care of the mentally ill in the 19th and 20th century and the impact of that history on attitudes towards mental health today. SH: Towards the end of the book you say that madness remains mysterious and there’s little sense that over time it has been successfully treated. AS: Yes, I think that’s right, there is a lack of success, though not none at all, and no continuous sort of progress. I think another continuity is the stigma that attaches to it – the stigma that attaches not just to the sufferer but also to the sufferer’s nearest and dearest, to their relations. Madness is something to be ashamed of, something to be hidden away. That encourages the rise of the madhouse and the asylum, which intensifies that sense of estrangement and stigma. Very often professional voices have contributed to it. When you look at the eugenics movement and the kinds of language that psychiatrists, as we can then call them in the late 19th century, are beginning to use, it’s deeply dehumanising. These people are dismissed as evolutionary throwbacks, as subhuman, as not worthy of life. The professionalization, I think that’s one of the other things that I would say is an important theme. It’s not that there’s no progress in their hands, not in that sense, but it’s startlingly slow and limited, and we are always in danger of slipping back into some sort of barbaric situation. I think the present really is like that. The seriously mentally ill are largely abandoned now. They are always an easy political target, both in the sense of creating moral panics around the danger they might represent, which often grossly inflate that problem, but also they are vulnerable to having whatever sources of support exist cut, and cut again. I see that in California; the largest mental health facility in my state is the Los Angeles County Jail. It’s really interesting because the asylum, when it arose in the 19th century, the moral indignation that drove those reformers was in part stoked by seeing mentally ill prisoners and wanting to get them out and into somewhere humane. The problem, I think, quite apart from the fact that it seems very difficult to sustain the level of selflessness and commitment that, say, the York Retreat sought to institute so many years ago, over long periods of time, with patients who don’t get better and who reward kindness with contempt or other kinds of unfortunate responses, is that once you isolate people like that they become very vulnerable. They are vulnerable to the violence of the attendants that was a recurrent feature in the 19th century and largely a subterranean thing. Stories leaked and occasionally people were prosecuted, but there was obviously a lot more of it in those asylums of 2,000 and 3,000 than the official records ever show. As society becomes impatient with the fact that they have this burden – the ‘useless eaters’, as the Nazis called them – the people in charge want a cure. They are professionals after all; they want something, and so the temptation is to get fixated on something and pursue it regardless. The way in which you can get trapped in a self-perpetuating circle of ideas can be seen in multiple ways. You can see it on the one hand in the very somatic kinds of treatments. Someone like Henry Cotton, a doctor in the US with the very best of training – he trained in Munich under Alzheimer and Kraepelin, and in America under Adolf Meyer – gets the idea that the reason people go mad is because infections are poisoning their brains and then, since this is pre-antibiotics, conducts what he calls ‘surgical bacteriology’, which means ripping out their teeth, their tonsils, and then eviscerating them. Nothing acts as counter evidence. When you pull all the teeth out and the patient doesn’t get better, there must be infection somewhere else. Then there must be infection somewhere else and somewhere else, so there’s no way out. In the same way, if we go to the opposite extreme, psychoanalysis can explain everything, including the rejection of psychoanalysis. The danger of that is manifest. As I say, because this condition is so frightening, disturbing, imposes such enormous costs – and I don’t mean that strictly in the financial sense, but more broadly – we are desperate to find something. Families are desperate; if patients are still in contact, they are desperate. SH: How do you see the role of drug companies? They clearly have an agency and an influence? AS: Yes, they do, and it’s become more and more the case, although there is an interesting wrinkle that I’ll come to. Drugs have been used in psychiatry for centuries – opium which acts as a sedative, was used. In the 19th century, there are experiments with using marijuana as a treatment here in the UK, and alcohol sometimes, various other sedating medications; barbiturates were used in the ‘20s. So, it wasn’t as though there hadn’t been experiments with drug treatments. The advent, though of Thorazine (chlorpromazine), in the late 1940s, early 1950s really when it becomes a psychiatric drug is largely serendipitous and accidental, but nobody knows why the thing works. In that sense, it is very like electroconvulsive therapy (ECT), it’s like lobotomy; it’s like all those things that I discuss in the book. In fact, the reason Thorazine enters psychiatry is that the base drug is an antihistamine. Antihistamines cause drowsiness. There had been a history of using barbiturates and other things – insulin too – to create prolonged periods of unconsciousness to try and get the brain to ‘reboot’, as we would say today. 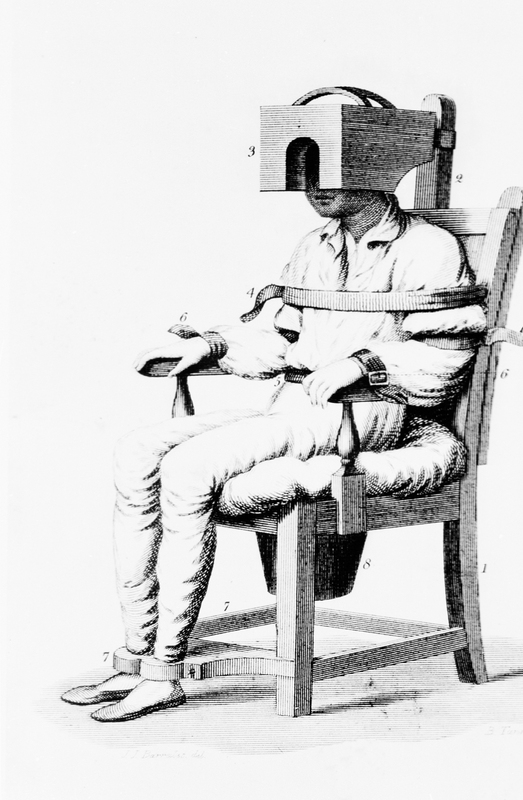 The idea occurred to a French naval surgeon, who quite casually could get access to these things in those days to try it on psychiatric patients. It’s almost like a chemical lobotomy: it doesn’t put them to sleep, but they become emotionally indifferent. Within very short order, that drug had become a mainstay of psychiatry and it created huge profits for what was then Smith, Kline & French; it’s now GlaxoSmithKline because of all the mergers, which incorporated the old Burroughs Wellcome drug company too. Smith, Kline & French rode that drug hard. They made a huge amount of money and became a powerful company, largely on the basis of antipsychotics. Antidepressants come along, minor tranquillisers – ‘mother’s little helpers’, as the Rolling Stones would have it – and so we enter a period where mental illness becomes increasingly treated with drugs. The fact that the drugs ‘work’ – I use inverted commas there; they clearly have effects and for some people they do work – is seen by some in a classic piece of bad philosophical reasoning as proving that the condition is based on having a chemical imbalance. So, we get that theory sold to people by the companies, by psychiatrists, by the media: ‘the reason you are depressed is because you don’t have enough serotonin and we need something that will top-up serotonin and keep the level higher in your brain. Then you’ll be as happy as a clown, and well.’ That’s all scientific balderdash, but it was very good marketing copy. What happened, I think, is psychiatry had been moving out of the institution, to an increasing degree, after World War II. A lot of that was based, in the United States at least, around talk therapy, but talk therapy takes forever and very often doesn’t work. 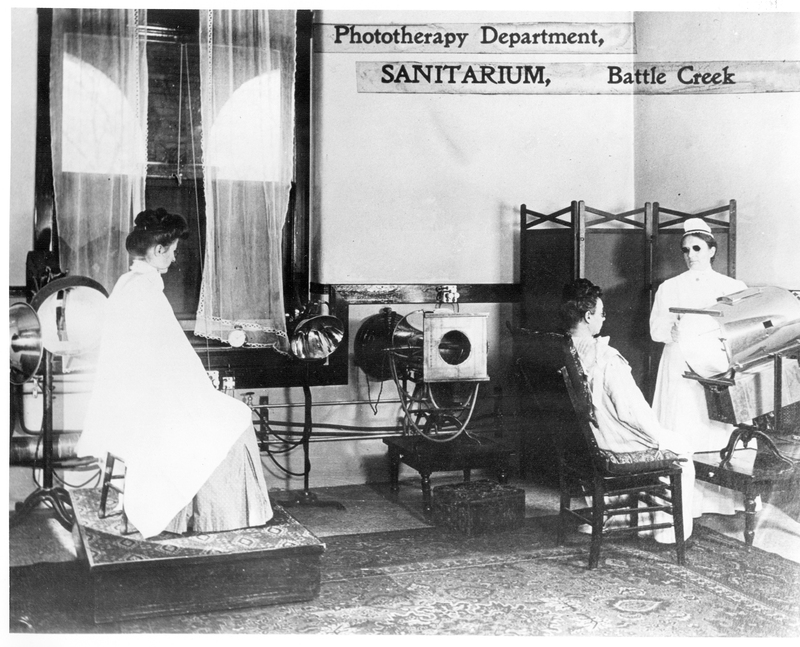 Alternative kinds of psychotherapy emerged as well in that period, mostly cognitive behavioural therapy, which was more laboratory based and in the short term something American insurance companies would support. 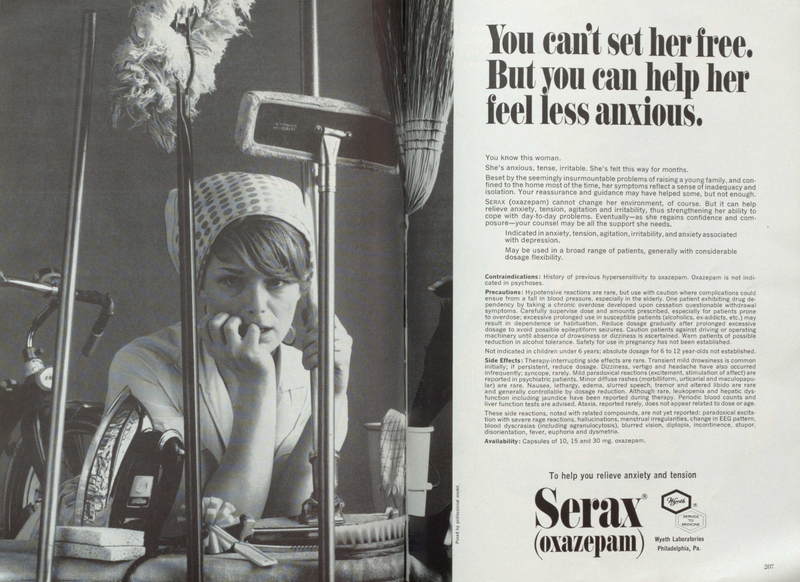 Psychiatrists, as they moved into office practice, were increasingly attracted to these drug treatments. Particularly critical, there was the fact that in the 1960s and 1970s psychiatry’s inability to diagnose reliably came under increasing attack. It came under attack from radicals like Thomas Szasz and Ronald Laing, who were political opposites but agreed on that; it came under attack from studies like David Rosenhan’s experiment called ‘on being sane in insane places’, where he sends pseudo-patients in and they are all sucked in and treated as schizophrenic or manic-depressive. So, there was a lot of criticism. The drug companies increasingly wanted to segment the market. They have had pills that seem to work with some people but not others, and we need to license that; how are we going to do that? We carve out subpopulations. Increasingly, drug responsiveness creates a new disease rather than the disease having a drug, so it’s almost backwards. So, we enter an era where increasingly psychiatry is captured by the rewards associated with these drugs. It allows them to deal with patients quickly, to get paid. In America that matters enormously, the drug companies make enormous profits, and that all really reorients the profession. The kicker in all of this is that the drug companies increasingly, as the trials got more elaborate and multi-centred, they were the prime buyers of the research, the funders of the research, not national government. They control the data, and they suppress the data they don’t want and they allow the data that supports what they want to appear to see the light of day. 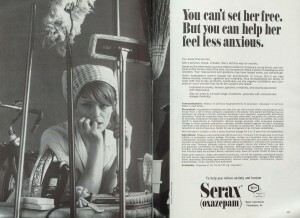 In the US, that has generated a bunch of lawsuits which have exposed some of the ways in which the drug companies had manipulated things – been aware of safety hazards, for example, and ignored them or actually marketed drugs that were less efficacious, by simply cherry picking the studies they allowed to appear. The damages that American courts have awarded have run into billions of dollars and they have become a real deterrent. They are also a huge public relations black eye for the drug companies and as a result they are ceasing to invest much more in psychiatric research. There is a new book out by Jeffrey Lieberman called Shrinks (2015). Lieberman paints this dark picture of psychiatry’s past and how it’s finally made this great breakthrough. Lieberman was the head of a big collaborative study of so-called second-generation antipsychotics, and what the study showed is that they work no better than the original chlorpromazine. They have some of the same side effects, plus a whole lot of new ones. For example, if you’re on them, you tend to gain two, three, four, five stone, and then you get diabetes and heart trouble and you die. One of the more dramatic things at the very end of my book that I discuss is homelessness, and the gap in life expectancy if you have serious mental illness and the rest of us, which is now two decades and more. That is frightening and profoundly shocking. Lieberman found that something like two-thirds to three-quarters of patients in this long-term study, which was funded by the government, dropped out because they could not stand the side effects of the drugs they were on. I think one of the other themes that run through this history of mental illness is this tendency to swing back and forth between two extremes in interpreting what’s going on, and the failure to recognise the multifaceted nature of the conditions that we are talking about. I would be astonished if there were not some biological component to autism and schizophrenia, for example. It really would surprise me. It would also astonish me if that were the entire explanation. Every time I see these claims of breakthroughs, they are never replicated and it always turns out that if you look at the data, they at best statistically explain a tiny fraction of the variance. Medicine has had a metaphysical wager for most of the time it has been involved with madness that it will reduce to the body. Not all the time, there have been periods when there has been more attention to the psychological and the social, but most of the time that has been the thing. The payoff has been slim – not none, but slim – some conditions. Usually what happens is they fall out of psychiatry. In the early 20th century 20 to 25 per cent of male asylum admissions were really tertiary syphilitics. Once we discover that and, more importantly, once penicillin comes along: gone. If you eat a poor diet, particularly in the American South, primarily maize, you become stuporous; you develop symptoms that led people to be institutionalised. Once you realise that and you fix the diet, you don’t have that problem. There are examples like that. Clearly, when you see something like Alzheimer’s disease, there are demonstrable – usually after death – things that you can see in people’s brains that Alzheimer saw in 1905. But for most of mental illness, it seems to me it is likely to be a very mixed kind of thing. The fact is that most contemporary psychiatry has embraced one set of remedies, primarily drugs, which they have a monopoly of, and one set of explanations – biological reductionism – it is all in the chemical soup in our brains, or perhaps that associated with some genetic susceptibility, I’m sceptical. The history of those enthusiasms is really interesting, because in the late 19th and early 20th century there was a similar conviction that it was all biology. After a certain point you say, ‘we’ve invested a lot in this and it hasn’t really worked very well.’ In fact, the things that have worked best, I think, for the mentally ill have been greater tolerance, more social support, sheltered care on occasions, and people who are experienced and knowledgeable in handling and care. I think that is what emerged out of the private madhouse trade in the 18th century. We all think of its horrors, but the reality was it really was an open marketplace. People went in and some people, as a result of their experience, figured out ways to handle, to distract, to manipulate them, to get them to behave, to encourage them, to show their good side. That, for a time, I think was very helpful. I think the problem, people have asked: ‘do we go back to the asylum?’ There are a number of problems with that. Politically, I think it is a nonstarter because of the amount of money that would be involved, but beyond that it is attractive because seeing the homeless in the gutter is very disturbing. Seeing them in prisons is even more disturbing, so you do want to provide that. On the other hand, the history of those places is they slide downhill and it is very hard to maintain staff morale, for example, in those circumstances. I certainly couldn’t do that job. SH: That sounds like the message that you’d want people to take from your book, particularly those involved in mental healthcare today. AS: Yes, I think not to be smug and not to be taken in by utopian promises that a cure is just around the corner, or that support or community care is going to be so much better than what we have; recognise the multi-dimensions of this. The problem of stigma is a really, really difficult one. It means families hide their distress and they hide what is going on. We don’t learn about it, we don’t understand the dimensions of the problem. One of the things in the book I was very concerned to do is to emphasise that I am not somebody who thinks of mental illness as just some label; there is something deeply strange and disruptive going on here. If there were not something strange and disruptive about this, the reactions we see to it, which greatly complicate the picture, would not be happening; the psychiatrists do not create madness, pace Thomas Szasz. The psychiatrists may make it better or worse; they may change its shape, they may put different labels on it, they attack it in different ways, but the underlying pathologies are often there. That is the other thing: I think that the biological account in recent years has tended to resurrect an ‘us and them’ kind of view of mental illness, not that sanity and madness are some kind of continuum, but that there are mad people and there are sane people. The reality of the matter is that many of us experience distress of quite severe proportions, often caused by terrible losses, for example, or other sorts of trauma. It has many of the features of an endogenous depression sometimes. Indeed, that’s been a big controversy with the new edition of Diagnostic and Statistical Manual of Mental Disorders (DSM – 5), about whether and at what point normal grief becomes pathological grief. Boundary conditions are often terribly interesting. One of the issues in the history of psychosomatic disorders and hysteria is the effects of industrialised warfare on people. We have just commemorated the centenary of The Great War. Shellshock and then combat fatigue – or combat neurosis, as it tended to be called in World War II, and post-traumatic stress disorder that emerged in the wake of Vietnam – they are a very important part of the story and they transformed psychiatry. Those wars were in many ways decisive turning points in the history of the profession, because they changed people’s perceptions of mental illness, in important ways. This entry was posted in Uncategorised on 26th October 2015 by Grainne Goodwin.